Julia Carabillo is a senior associate at Moore Leonhardt & Associates LLC where she assists individuals and businesses in the areas of employment, transportation, insurance and health care law, especially in regard to contractual, administrative and regulatory requirements and relief. Ms. Carabillo was previously a senior staff attorney in the Litigation Department at WilmerHale in Boston and Washington, D.C. where she focused her legal career on eDiscovery and complex matter management. She has direct experience with large scale electronic review and complex privilege review, providing expertise in best practices, smart search and predictive coding technology (artificial intelligence/AI), and project management. She helped clients anticipate and maintain discovery costs while satisfying strict regulatory and production requirements and timelines in response to regulatory investigations, litigation discovery requests, internal investigations and federal criminal investigations. 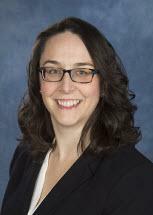 Ms. Carabillo has represented pharmaceutical companies on issues related to the marketing of the off-label use of prescription drugs and related kick-backs in matters before the Department of Justice and the Office of Inspector General and assisted in internal investigations and compliance audits. She has also represented banking and financial service firms and individual clients on issues related to mortgage backed securities, securities fraud in matters before the Securities and Exchange Commission, FINRA, and other government agencies. At WilmerHale, she focused her pro-bono work on environmental issues and state environmental regulations, including the protection of the diamondback terrapin in Maryland, and veterans’ issues, preparing applications for Combat Related Special Compensation for veterans with PTSD in cooperation with the National Veterans Legal Services Program. She received the 2010 WilmerHale Volunteer Appreciation Award for tutoring students from the Maya Angelou Public Charter High School as part of a volunteer program supported by WilmerHale and was privileged enough to meet Dr. Angelou in person. Ms. Carabillo currently volunteers with the United Way of Central and Northeastern Connecticut Women’s Leadership Council “Read Aloud” program which encourages reading in elementary-aged students in the Hartford area. She is also a member of the steering committee for former Connecticut State Troubadour Kate Callahan. Prior to law school, Ms. Carabillo was involved in Connecticut politics, working on a state-wide campaign for constitutional office, as a legislative aide, and as a committee clerk for the Select Committee on Aging.